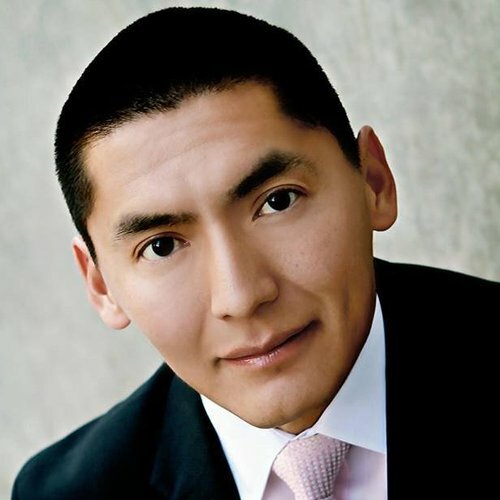 Senator Begay graduated from Coconino High School in Flagstaff. After graduation he listened to his grandfather's advice to "ask yourself these questions: What is important to me; what do I want to accomplish in school and in life; and what opportunities are open to me?" the advice continued "get an education, apply yourself, make the most of every opportunity and let your interests guide you to find something you're passionate about. If you find something that you love, you will find that you are going to work harder, you are going to try harder, you are going to be better at it, and you're going to enjoy your life more. The reward and satisfaction is that you get an opportunity to make a difference." Senator Begay has devoted his life to improving the lives of Native Americans and making a difference in our state and country. My grandfather's counsel has been a guiding influence in my life. Because of the positive encouragement that I received from so many people while growing up on the reservation, and the opportunity to receive an excellent education, I have developed a vision and a burning passion on ways that we can improve the lives of the people living in our legislative district. My background and experience in healthcare has allowed me to help American Indian Tribes across the country to receive better healthcare. I am committed to bring that same vision, passion and experience to the Arizona Senate.